This paper proposes a risk-based process strategy decision-making approach. To improve the flexibility in applying the Value-Based Software Quality Achievement (VBSQA) process framework, we embed the risk-based process strategy decision-making approach into the VBSQA process framework. It facilitates project managers to tailor the VBSQA process framework to different project business cases (schedule-driven, product-driven, and market trend-driven). 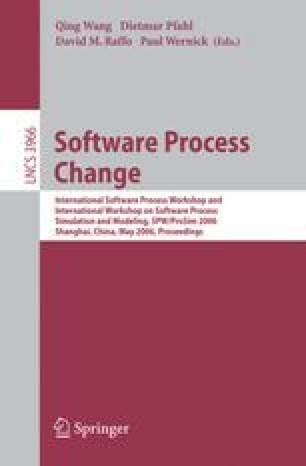 A real world ERP (Enterprise Resource Planning) software project (DIMS) in China is used as an example to illustrate different process strategies generated from process tailoring.